Pirot kilim rugs refers to a variety of flat tapestry-woven rugs traditionally produced in Pirot, a town in southeastern Serbia. 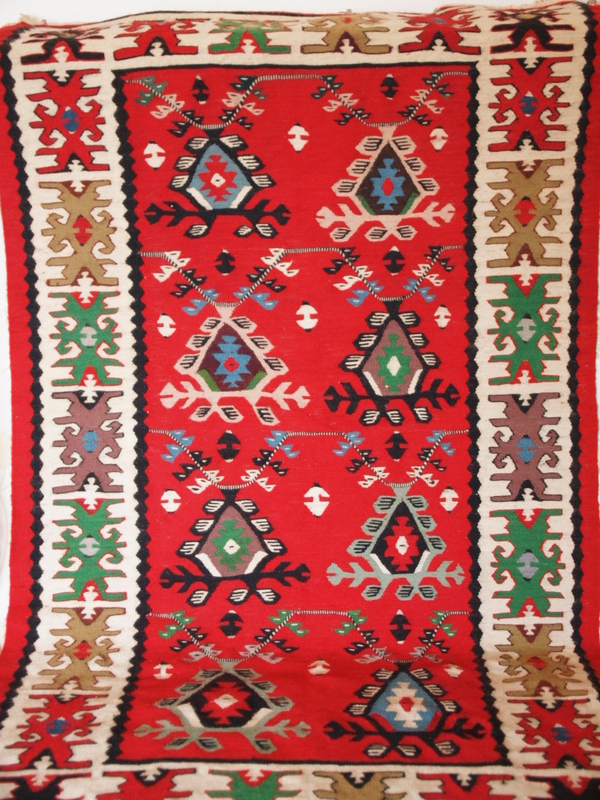 Pirot kilims with some 122 ornaments and 96 different types have been protected by geographical indication in 2002. Pirot was once the most important rug-making centre in the Balkans, located on the historical main highway which linked central Europe with Constantinople. They are one of the most important traditional handicrafts in Serbia. 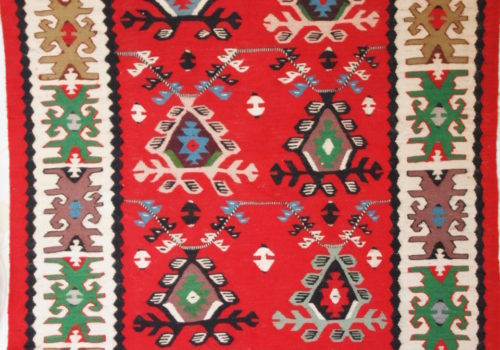 In the late 19th century and up to the Second World War, Pirot kilims have been frequently used as insignia of Serbian royalty. This tradition was revived in 2011 when Pirot kilims were reintroduced for state ceremonies in Serbia. Carpet weaving in Pirot dates back to the Middle Ages. One of the first mentions of the Pirot kilim in written sources date to 1565, when it was said that the šajkaši boats on the Danube and Drava were covered with Pirot kilims.